4 reasons why receiving Producer Credit may not be all it’s cracked up to be. It’s a common practice in the entertainment industry. Producers operating on shoestring budgets will, in an effort to secure the property and/or services of talented individuals, ofer them some kind of producer credit in lieu of the usual compensation those people might normally command. This kind of thing is, somewhat surprisingly, quite attractive to many in the business. Perhaps it’s the prestige of being a producer, or perhaps it’s taken as recognition of one’s value to a project. But, receiving a producer credit on a film, play, musical or album is often a bad idea. Here are some of the reasons I advise my clients against accepting credit. 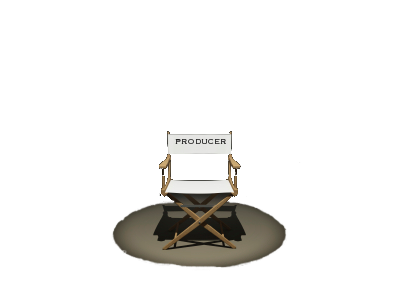 If you’re taking producer credit in lieu of compensation, the lead producer is getting a huge bargain. As such, he (or she) is taking a much smaller risk with the project than would be the case if you were being paid what you’re really worth. And, if there’s less at risk, the lead producer may feel freer to take bigger risks elsewhere, thus leading the project into peril. By contrast, when a producer has money on the line (whether his own or investors’), he’s less likely to take unreasonable risk or maintain untenable positions with the project. More importantly, however, if you’re willing to take less than ‘normal’ compensation, it shows the lead producer and the rest of the world that you think the same way. Your services really aren’t worth what you charge. Of course, sometimes you’ll get involved with a project you feel passionate about and be willing to discount your fees to be associated with them. And that’s fine. Just be sure you’re discounting for the right reasons. In my view credit alone shouldn’t be one of them. Time and again, I’ve seen situations in which a “producer” on a project has absolutely no control. He or she is getting producer credit, but exercises no real authority to influence the direction a project takes. It’s a little like being at the helm of a ship, holding the steering wheel, but not being permitted to turn it to avoid a collision. Without a meaningful degree of control (or at least a right of consultation) producer credit can be pretty meaningless. Even if the film wins major awards, it’s typically only the lead producer and the core producing team that actually benefit from the recognition. So, receiving producer credit may actually be worse than not being involved in a project at all. At the very least, acceptance of such a proposal can send subtle signals about the parties’ valuation of the recipient’s services. Of course, there are plenty of valid reasons to receive a producer credit. Foremost among these, though, should always be that you’re actually a producer of the project, not a mere figurehead, but wielding real influence over the project, and thus earning the right (and responsibility) of being called “Producer”. Asked & Answered: Can co-writers exclude music rights from screenplay rights? 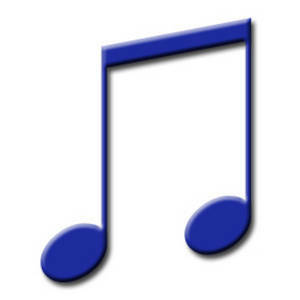 Q: I am writing a musical with a talented writer and filmmaker. We have agreed to a 60%-40% split on the scriptwriting. Since I am the sole writer for the music and will pay for it's production, we have mutally agreed that I keep 100% of the music rights. We plan to sell the script. How can we reword this to clarify our 60%-40% shared rights in the scriptwriting, and my 100% ownership of music? P.R.O.s continue policy of suing bars and Restaurants. Are your licenses in place? As I blogged here last December, Performance Rights Organizations like ASCAP and BMI continue their policy of pursuing legal action against bars and restaurants that play music without proper licensing. The Hollywood Reporter, Esq. blog has a piece today, that reminds us of the policy. Earlier this week, BMI filed a suit against a restaurant called “Pianos” where the song “Talk Dirty To Me” by the band Poison (among other songs) proved a toxic brew. The suit filed by BMI and a number of copyright holders seeks an injunction, attorneys fees, and statutory damages, which can amount to as much as $150,000 per infringement. The bottom line rule of thumb is this: If you're operating a bar or restaurant, larger than 3750 square feet, and/or playing music through a system of more than 6 loudspeakers, you need licenses from these Performing Rights Organizations, or you could find yourself on the receiving end of one of these lawsuits. If you're a bar or restaurant owner and you don't already have your license(s)., you may wish to consult your entertainment lawyer, to determine what's required. Of course if you're contacted by one of these organizations, consult your attorney right away… BEFORE you respond. 360 deals – some basics from M.E.L.O.N. Listening to the radio at work? You may be a copyright infringer!